Success, Significance and Satisfaction Beyond 50. Throughout this blog, I will refer to this book as 3S BEYOND 50. 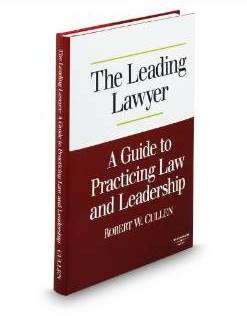 The Leading Lawyer, a Guide to Practicing Law and Leadership is my first book. The Leading Lawyer, A Guide to Practicing Law and Leadership explains the secrets of leadership from top lawyers who have taken their talents to new heights by combining legal expertise with exceptional leadership skills. It shows how leading lawyers capitalize on their advocacy and analytical skills and combine them with their visionary insights to reach new levels of success.